PK Trading is proud to announce that we can now supply you with innovative dessert kits that are both delicious and very handy when you have discerning customers and a pastry chef is not available. The desserts are of a very good quality and very consistent every time. 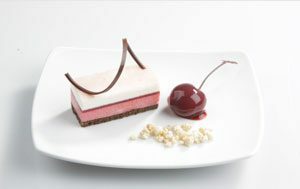 They can be plated easily by almost everyone and you deliver restaurant-quality desserts every time. 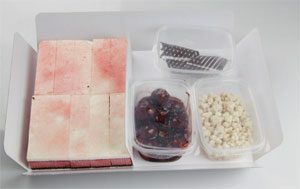 These desert kit are perfect for airlines, rail and cruise lines, travel caterers and boutique hotels. Cherry Mascarpone Tranche topped with a Dark chocolate swirl with marinated Cherry, with Yoghurt and oat crumble.